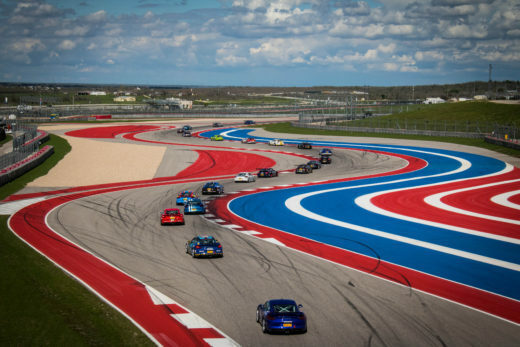 Austin, Texas – As the 10th anniversary season of the Pirelli GT3 Cup Trophy USA comes to a close, a large field of Porsche machines will take to Circuit of the Americas (COTA) for a double-header season-finale event this weekend. 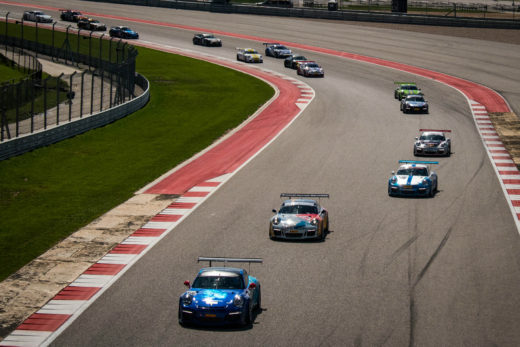 The championship, which is operated by Competent Motorsport, opened the 2016 campaign at the Texas track in March to kick off what has been the most successful Pirelli GT3 Cup Trophy USA season to date. The Pirelli GT3 Cup Trophy USA competitors are eager for the return to the iconic circuit that will also play host to Formula 1’s United States Grand Prix next month. At 3.4-miles long with 20 twists and turns, it’s one of the most challenging tracks on the calendar. 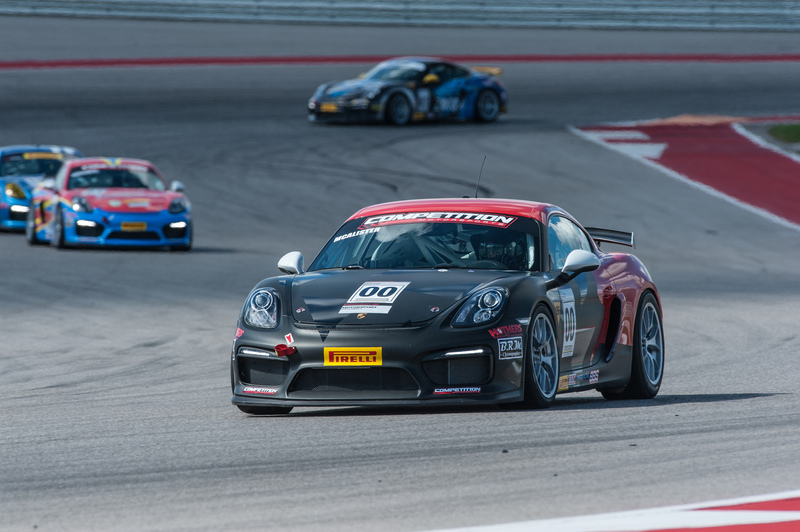 Five drivers will earn Pirelli GT3 Cup Trophy USA championships this weekend, as the Diamond, Platinum, Platinum Masters, Silver, and Silver Masters categories are all set for a final championship tally following sixteen races in the all-Porsche championship. In the top-level Diamond category, BR Racing’s Robert Todd has been atop the standings for much of the year. But Todd will have to deliver another positive weekend with three other Diamond class racers eligible for the title honors. Michael Zuieback of Competition Motorsports, Pat Laughlin of Kelly-Moss Road and Race, and Mike McAlister of Competition Motorsports are all mathematically eligible to take the Diamond championship crown. In Platinum, Tom Haacker has dominated all year long. But prior commitments prevented Haacker from competing in the previous event at Sonoma and as the season winds down at COTA, Haacker will defend against Aasco Motorsports’ John Krieg who also has a shot at the championship. It’s a three-way battle for championship honors in Platinum Masters between TruSpeed Autosport teammates Larry Schnur, Ray Shahi, and Jim Slavik. Schnur leads the way into the season-finale by 56 points. It’s been an ongoing battle all year long in the Silver class between veteran racer Kevin Woods of BR Racing and rookie driver Sean McAlister of Competition Motorsports. The class features the all-new Porsche Cayman GT4 Clubsport and has seen some of the most competitive racing of the year. McAlister won both races at Sonoma two weeks ago and closed the gap to Woods, but it is Woods who currently leads with a 33-point advantage heading into this weekend’s double-header. Steve Goldman has a strong lead in the Silver Masters championship standings, but fellow Competition Motorsports teammates Chris Vivolo and Mike Sullivan are both still mathematically eligible. 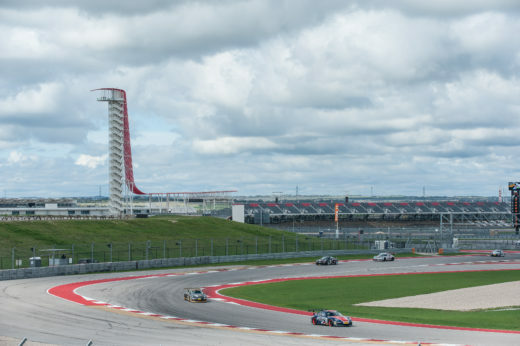 With championship points awarded for finishing order, pole position, and participation as well as some one-off entries expected for the season-finale COTA event, the championships could come right down to the wire. The 2016 season has seen the introduction of the new Silver class, which features the Porsche Cayman Clubsport GT4 machine. The Diamond Class features the Porsche GT3 Cup car that is based on the seventh generation 911 (991), which was introduced in 2014. The Platinum Class utilizes the 997-generation based Porsche GT3 Cup machines from 2010-2013. The COTA weekend kicks off on Friday with three rounds of practice followed by two race days on Saturday and Sunday. This entry was posted in News on September 21, 2016 by admin.